Commemoration of the Last Supper, with foot-washing followed by Watch of Prayer meditation until 10pm. 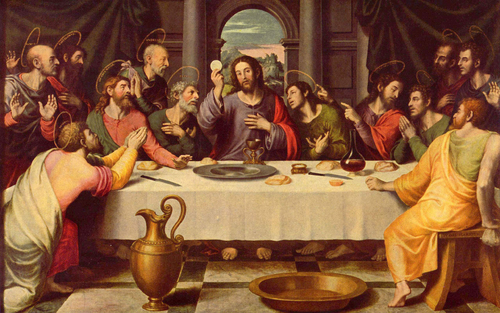 On Maundy Thursday, we give thanks for the institution of the Eucharist which marks the start of the three great days of the paschal celebration. Two special ceremonies are associated with this: the washing of feet, reminding us of our Lord’s words to his disciples at the Last Supper to love one another as he has loved them, and the reservation of the sacrament and procession to the altar of repose. This is decorated with lights and flowers and a watch (or silent meditation) is kept before it to symbolise the watch with Jesus in the Garden of Gethsemane. Following this, the main altar is stripped so that the church is bereft of decoration for Good Friday. The bareness symbolises the desolation of the passion. Come for as much, or as little, of this service as you would like.